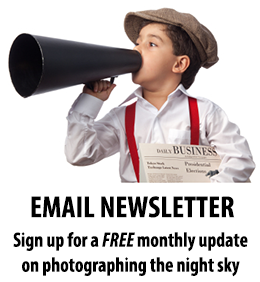 The Star Adventurer Mini is Skywatcher's ultra-portable approach to an astrophotography and timelapse platform. It would make a lot of sense to read this in conjunction with my earlier (and similar) review of the larger Skywatcher Star Adventurer. In the image below, the components on the right hand side are included in the standard (minimal) purchase, while the latitude base and equatorial head and counterweight can be purchased as part of a bundle. 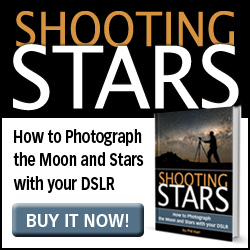 While you may not use the equatorial head much, the latitude base is really an essential item for astrophotography. 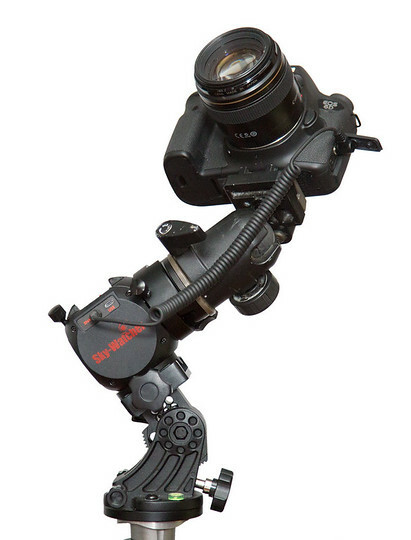 This is far more effective (and cheaper) than any other tripod head you are likely to own so unless you plan to use this the Mini for timelapse only, buying the bundle with this would make a lot more sense. Australian pricing for the Mini is around $450-$575 for the bundle including the latitude base (e.g. at Sidereal Trading VIC or Astro Petes QLD.) These prices are only marginally less than the full-size Star Adventurer so this is mini in format but not in capability or price. The latitude adjuster provides a solid base for the Star Adventurer and has effective fine adjustments for both the altitude and azimuth of the polar axis. It also covers the full range from 0 to 90 degrees, which makes it quick and easy to switch to horizontal or vertical panning modes for timelapse. The Star Adventurer Mini unit alone weighs just 650g (half the Star Adventurer weight of 1.2kg) plus another 500g for the latitude base. What you lose in weight you also lose in payload - rated at 3kg for the Mini vs 5kg for the Star Adventurer. The easiest approach for mounting the camera is to use the included ballhead adapter, which slots into the Vixen style dovetail on the Star Adventurer Mini. You'll need to provide your own solid ballhead. The locking screws engage positively into a recessed dimple on the dovetail bar. The large screw would be easy to operate with gloves and there's never any concern that the ballhead adapter could slide out even if it wasn't tightened up properly. These aspects are identical to the larger Star Adventurer and all compare positively to the other tracking mounts I've used. The image below is the configuration I used for most of the example images included with this post. As with the Star Adventurer, you can also use the Mini with the Equatorial Head and Counterweight (purchased separately or in a bundle) for a more balanced approach. For short sequences, it's relatively easy to have the ballhead sitting over the top of the mount so the equatorial head and counterweight rarely felt necessary. However if you want to capture sub-exposures over a long period of time (say four hours) then the equatorial head is effective at keeping the camera/lens combination balanced even as the right ascension shaft rotates over the hours. The declinition head is not motorised but does include a fine adjustment knob for easy target centering even at longer focal lengths. The polar scope and illuminator are identical to the Star Adventurer and thankfully are included in even the base Mini package. While the illuminator doesn't provide even illumination it does the job somewhat better than trying to shine torches down the tube and can be dimmed down to very low levels, unlike most illuminators. The polar scope has the Octans asterism marked making southern hemisphere alignment straightforward if you know how to find that. My usual routine is to eyeball align the unit with south celestial pole by eye (it's well worth learning your way round that part of the sky). Then I'll use a digital inclinometer (or phone app) to set the altitude angle of the base. Being a box shape, the top of the Mini unit is square with the polar axis which makes that easy. 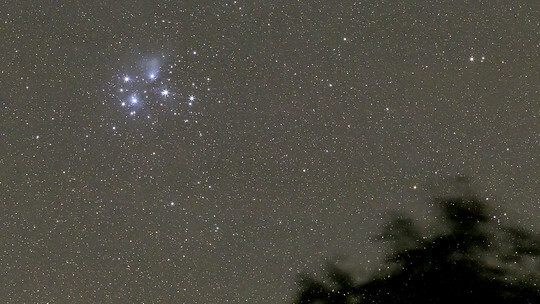 At that point, the Octans asterism is usually within the field of view of the polar scope. In the Northern Hemisphere, you can use the Polar Clock utility that is part of the Skywatcher app (see below) to set the orientation of Polaris in the polar scope. The standard way to power the unit is with 2 AA batteries which are easy to replace (more so than on the Star Adventurer). Even using old rechargeable batteries I had no trouble getting through a whole night (in summer conditions). I was generally turning Wi-Fi off though. The other option is to plug in 5V via a micro USB connection. The only way to control the Star Adventurer Mini is to use the console App which is free to download for Android (in my case) or iPhone. Enable Wi-Fi on your phone and disconnect from any other network and the App connects easily to the Mini network. You must set the location in the App which of course can be done automatically from phone GPS. 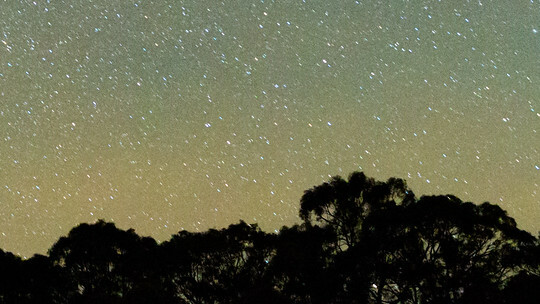 Tracking direction for astrophotography is then automatically selected for northern or southern hemisphere. This screenshot shows the settings for a Long Exposure Time Lapse. 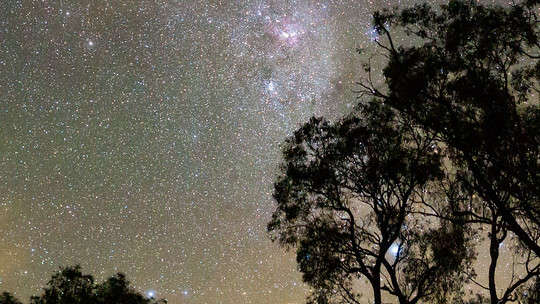 The format is similar but slightly different settings are available for Astrophotography or Astro-Timelapse (see below). Many settings are calculated based on your inputs for other parameters. Options that are ticked below have been manually set (e.g. video time span 2 hours and frame period 15 seconds). From those inputs, the number of photos has been automatically calculated at 480 and likewise for the panning speed of 17 degrees per hour. To change the number of photos or panning speed manually, you would need to untick one of the other parameters. Having all that calculated information is very handy and realises the potential of using an app for control rather than a limited number of options via dials etc. as for its larger brother in the Star Adventurer. To save battery it would be common to to enable the "Wi-Fi Off on Run" setting. You can turn the Wi-Fi on again by pushing the power button on the unit and then you need to connect to the Wi-Fi network again on your phone (done fairly easily from within the app once you get used to it). However, for short sequences and testing it's a lot easier to leave Wi-Fi on as you can then stop, adjust and restart sequences with ease. I've found the periodic error on the Star Adventurer Mini to be around 50" (arc-seconds). The image below was taken at a focal length of 280mm with the polar axis intentionally mis-aligned resulting in large declination drift which reveals the periodic error in right-ascension (the wobble in the star trails). The same test with the Star Adventurer showed a similar overall result but if anything the tracking on the Mini is smoother, at least for big chunks of time - this is backed up by performance on tracked images with my 200mm lens being at least as good and seemingly better overall on the Mini than on the larger version. This is quite a surprising result given how much smaller the wheel gear is - 36mm diameter on the Mini vs 86 mm on the Star Adventurer. 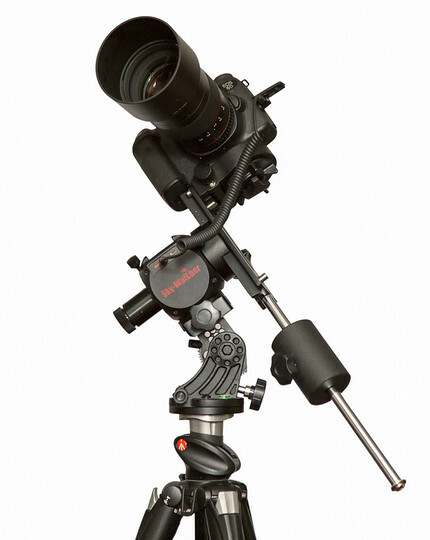 For further comparison the Vixen Polarie has a 58mm wheel gear and the iOptron Skytracker 80mm. All of which just goes to show that the size of the wheel gear doesn't relate very much to tracking accuracy for these mounts as my iOptron SkyTracker shows a periodic error of around 100" while the Vixen Polarie was less at around 40". Your mileage with any of these mounts may vary! Although it is relatively close to the south celestial pole, each of the 20 images of the LMC above captured at 135mm focal length over forty minutes was near perfectly tracked. Given the very compact size I was quite surprised by this result. When loaded up with a big camera/lens combination like this there was some backlash or play in the main gear but aside from occasional trailed frames (particularly at the start of sequences) it didn't seem to affect the results. With the Mini Skywatcher have introduced a fairly novel concept in timelapse (at least I've never seen it before). The feature is called "Astro-Timelapse" and what it does is track the stars during a single sub-exposure and then rewinds the right-ascension axis by the same amount to start the next exposure in exactly the same position. In this way, the foreground remains fixed during the timelapse sequence, but during each exposure the stars are perfectly tracked while the foreground gets blurred a little (which is generally less obvious than trailing of stars). To do this, the mount needs be polar aligned but very rough polar alignment will suffice. 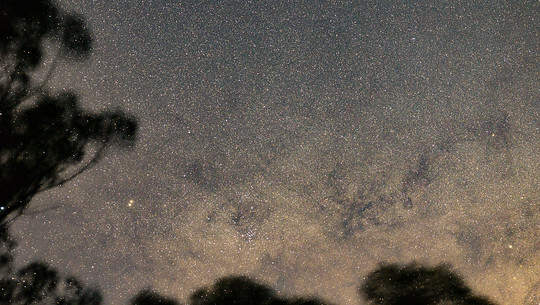 The two images below show the difference between "Astro-Timelapse" and regular timelapse - click through for the full-resolution. Whether you actually want this Astro-Timelapse mode may be a personal choice. Sometimes the trailed stars will actually look better in video than sharp stars which can appear to flicker between frames, but there are sure to be other applications for creative people if you find it doesn't suit you. Here is a quick and simple demo of using the Star Adventurer Mini for timelapse. 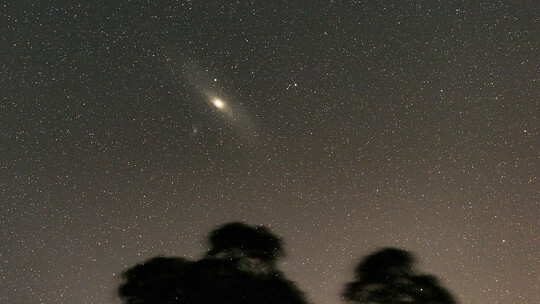 These sequences were captured quickly and easily from home and also at Camp Cooinda on the Gippsland Lakes and the Astronomical Society of Victoria Star-Be-Que. 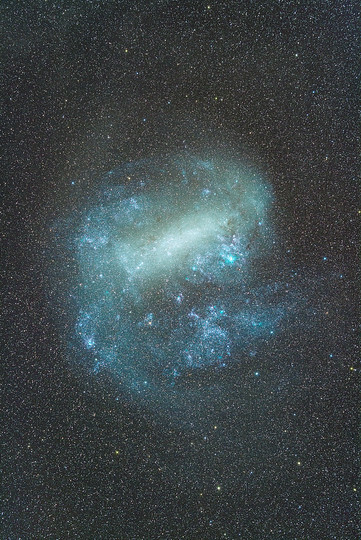 Two sequences with stationary foregrounds were captured in Astro-Timelapse mode. Spinning SAM - Skywatcher Star Adventurer Mini Demo from Phil Hart on Vimeo. With the App based control of the Star Adventurer Mini, it performs more like other single axis timelapse motion control units on the market, as opposed to the larger Star Adventurer which had more rudimentary timelapse controls via dials etc. The timelapse and motion control capabilities of the Mini certainly exceed the other portable tracking platforms I have experience with. 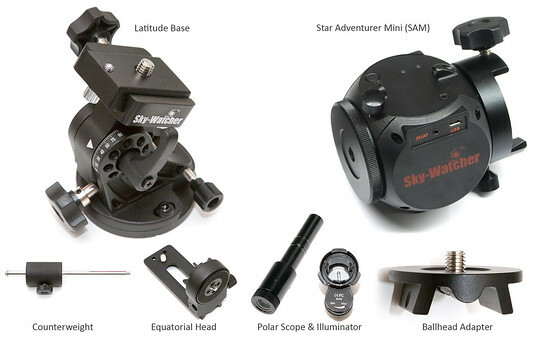 The Star Adventurer Mini is a significant evolution in Skywatcher's tracking and timelapse motion control units. 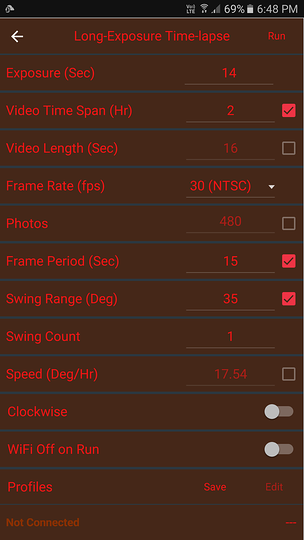 The App based control for astrophotography and timelapse is quick and effective and more capable than the Star Adventurer. Since tracking performance is at least as good in my tests it would seem the Mini will become the default choice for most people unless you particularly want the higher payload of the Star Adventurer. But as I successfully used 200mm focal length with a full size DSLR on the Mini, if you want to go larger than that you're realistically looking at a full-size equatorial mount. For anything less than that the Star Adventurer Mini should certainly be on your list to consider.